Burgers are a food that everyone enjoys, but almost everyone feels guilty about eating afterwards. Good news, you no longer have to feel guilty about indulging in one of the best loved foods again. 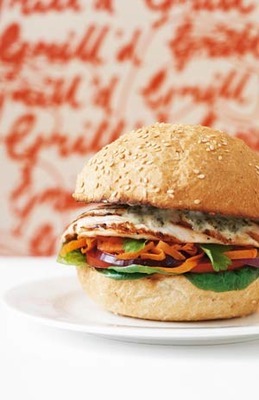 Grill'd takes fast food to a new and improved level, proving that burgers can be delicious and healthy for you. All the health conscious people out there can now enjoy this once frowned upon meal, and not feel bad about indulging. Their motto is "made with love" and you really can taste the love when you take that first bite. There isn't that heavy feeling left in your stomach once you've finished, and everything tastes so fresh. You can choose between beef or chicken burgers and with the mini burger option, you can satisfy your burger needs when you're just after a snack. With two locations in Darling Hurst, one in Darling Harbour and Crows Nest, and two in Newcastle, they aren't the most accessible burger bar. Though if news spreads about the great taste, maybe we'll see more popping up around Sydney.